New Year’s Eve is one of those holidays some people like to get dressed up for. Sure, others will just grab a sweater off the floor and drink Jaeger bombs until they pass out under a pool table, but Starbucks, at least, is suggesting that when ringing in 2017, we should keep things classy by introducing a trio of new, limited-time “Tuxedo” beverages. Just how stylish you’ll feel sucking down a drink slathered in whipped cream and chocolate is up for debate, but these Tuxedo beverages definitely sound like they’ll help you ease out of a rough 2016 by putting you into a sugar coma. 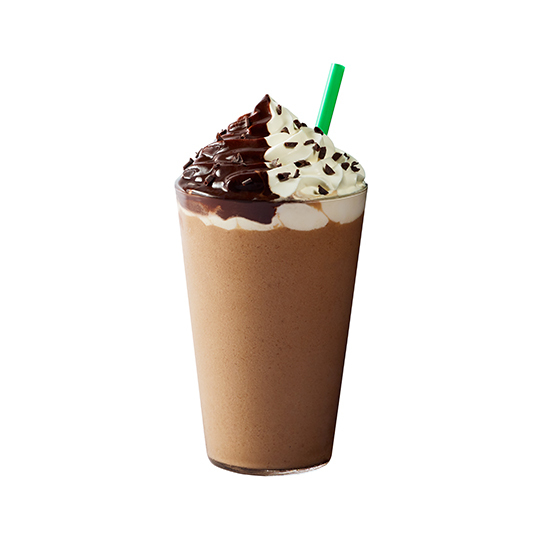 The ‘Bux describes the Tuxedo Mocha thusly: “Hot espresso is poured over mocha sauce and white chocolate mocha sauce, which is then melted into a wonderfully rich concoction. Steamed milk is added to the mix to balance the richness into a silky swirl of dark and white chocolatey goodness.” The tuxedo topping is then added before being “finished with a sprinkle of dark chocolate curls. Customers can enjoy it hot or iced.” It’s like someone took all the leftover candy from your Christmas stocking, melted it, and put it into a cup with your name spelled wrong on the side.